Hi, I am so glad you found this book! I loved reading it and I hope that you do too! I think it is an interesting read even if you are not particularly interested in George Orwell (I wasn't.) This book is more about Burma now known as Myanmar and how it's people live and cope in a totalitarian society. It is a great read and it isn't depressing. I've decided to start a book ray. I ask that the last person who gets the book, please either pass it on to another BookCrosser or release it into the wild. If you have a great idea for it - feel free to do with it as you wish. And if you REALLY love it, go ahead and add it to your personal collection. Please journal the book when it arrives, let us know what you thought of it, and when you have mailed it off. You can use more than one journal entry or just edit them as you go. Please don't keep the book for more than 4 weeks, and PM the next person for their address when you are almost finished with the book, so they can get back to you and the book will move more quickly. If the next person on the list doesn't reply to your request for their address in 7-10 days, then PM me, and PM the next person on the list. Received as a bookray - Thanks! I have one other bookray to read before this one, but I should be able to start this in a week or so. Looking forward to reading this. Update 8/1/06: Started reading this today. Great so far! Finished reading this today. I thought it was a very interesting book. I didn't really realize how oppressed the people of Burma are under their current Government. It was an eye-opener! I also enjoyed how the author related the Government of Burma to the works of George Orwell. 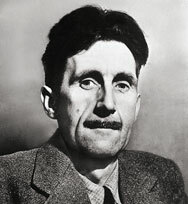 The Burmese say that Orwell wrote not one novel about the country, but three: Burmese Days, Animal Farm and 1984. The first takes place during the British colonial days, while the latter two more closely reflect the situation there today. I have read some of Orwell's works including Animal Farm and 1984 - this book piqued my interest to want to read more. I have a copy of Burmese Days that I will probably move up in my TBR pile. I have Napper's address and will get the book in the mail this weekend. Thanks Fireflywishes for sharing this book! Update 9/30/07: Just a note to point out the relevancy of this book given the current situation in Burma (Myanmar)! Headed to Napper in New York City. I am so sorry - this came while I was away and I completely forgot about it until Perryfran reminded me! I will start in on my commute home tonight! Although I consider myself informed about "world affairs," I had no idea just how bad the situation was in Myanmar. Beyond poverty, the total lack of civil liberty and freedom of press, information, etc. were mind-boggling. The author managed to make these "abstract" concepts very concrete, to help those of us lucky enough to live in a relatively open society understand just how lucky we are! Although I am not particularly interested in Orwell, the side notes about him were quite engaging as well. Its on its way to catsalive. Thanks for sharing! P.S. I have to disagree with firefly and say I thought it was quite depressing. Fascinating reading. I knew things were bad in Myanmar but not the extent of the terror perpetrated by the government on its people. I notice that the 'movers & shakers' of the international community & the global conglomerates are conveniently ignoring the situation both here & in Tibet - we wouldn't want to upset China, would we?, think of all the money we might lose. The book is well written & I loved the two intertwined stories. I'll have to keep an eye out for Burmese Days. I didn't really know what to expect with this book but it was worth the wait & the effort. I didn't have a huge interest in Orwell either but Finding... him & the political situation complemented each other beautifully. Thanks, Fireflywishes. I'll get this off to Drusillamac ASAP. Posted to Drusillamac this morning - surface mail. Whoops it looks like I forgot to journal this book when it arrived. Sorry to hold it up but I think I am going to skip this one. Will PM the next person on the list for their address. This is being sent to ReadAndEnjoy via air mail tomorrow. Thanks a lot for sending the book. I just arrived from Lithuania the other day and found it among other postcards I had received in between - a nice mixture. Will start reading soon. This is SUCH a good book! I also didn't know much about the country Burma and I didn't think things were that bad. 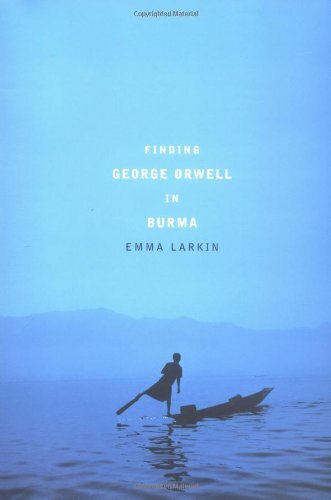 Emma Larkin wrote a great book connecting both history and present, literature and reality of Burma. My boyfriend OllyG asked whether he couöd read the book aswell and Fireflywishes said it was ok - since he's a native English speaker it won't take him much time - three days perhaps and then the book can travel further to the UK. Thanks a lot for this interesting bookring. Given it to OllyG today. Just arrived this morning, thank you! Pulled a bit of a late night just to finish it. What can I say, really well written, presenting a side to Orwell that I was unaware(having concentrated more on his time in Spain) and also a glimpse of a notoriously secretive country. I signed up for this ray along time ago, but it really couldn't be more relevent now. I am currently living in the Czech Republic, where there have been pro-democracy protests for Burma and there is a hope for another Velvet Revolution.